Since its beginnings over 120 years ago the Chiropractic profession has determined that having an optimally functioning spine and nervous system is essential to having excellent health. Your Kalona Chiropractor, Dr. Chris Grier, knows that the spine is the suit of armor protecting the spinal cord–the vital link between your body and brain. The spine is also designed to be incredibly mobile, allowing us to move athletically for a lifetime if it is well cared for. 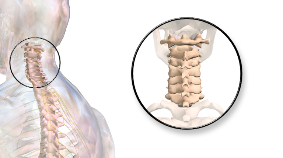 When there is misalignment or restricted movement between the bones of the spine, it creates an endangering stress to the spinal cord, the nerve roots, and the nerves that travel from the spine to the vital parts of the body, and back again. That is called Vertebral Subluxation, and they are common in our society and destructive to the healthy function of the body, moving a person away from optimal health. Our initial visit is designed to determine if subluxation exists and, if so, to determine the best plan for correcting subluxation and restoring health.